Now, there’s a “road trip,” and then there’s a BC ROAD TRIP. From coastal mountains to Interior deserts and northern lakes, there’s so much diverse terrain to cover across BC. Whether you’re travelling solo, with friends or as part of an epic family adventure, BC road trips create unforgettable memories. This summer (June 1 – Sept. 15, 2018), we’re looking for your photos with the #BCRoadTrip hashtag on Twitter and Instagram. If you have a Facebook account, then post your pics to our BC Transportation and Infrastructure Facebook page. Show off your photography skills and your road trip excitement! We’ll be sharing them on our social media channels and, at the end of the quest, we’ll feature our favourites here on TranBC. We ran a similar photo quest a few years ago; a lot of people had fun taking part, so we thought hey – let’s do it again! Be sure to let us know what highway or side road you were on or near, and anything else interesting about the photo (and please tag us in your photos to really let us know). Whether you drive professionally or you’re just taking your car, truck, RV or motorcycle out to explore, we would love to see BC through your eyes. 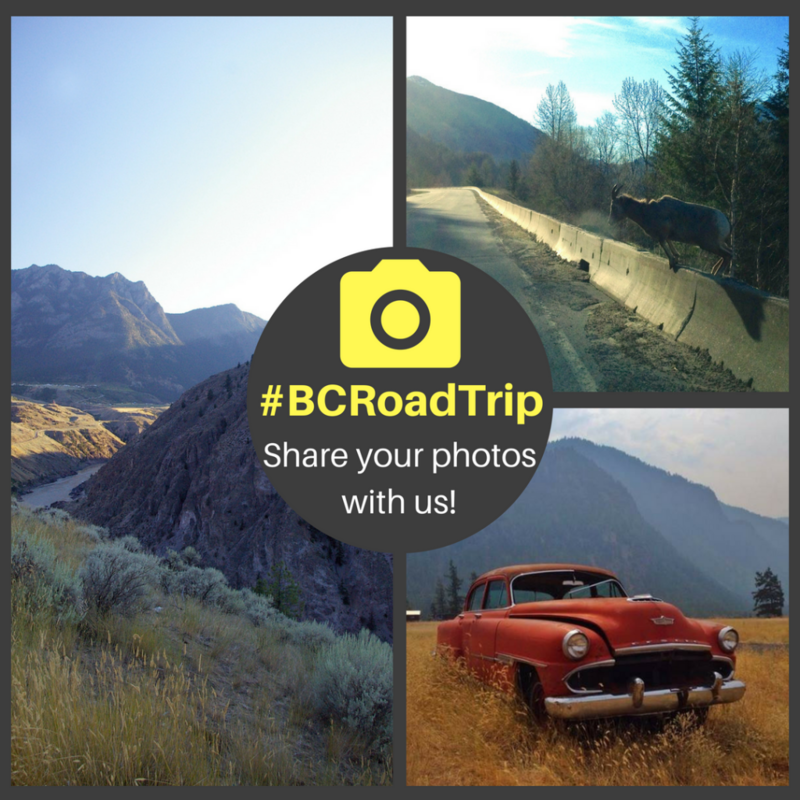 So show us your #BCRoadTrip photos; we’d love to help share them, and maybe even inspire other like-minded travellers. We’ll be featuring our favourites here on TranBC. 2 Responses to How to Join the BC Road Trip Photo Quest! Wonderful idea. I’m assuming this is only for photos taken within that date range? Should they be date tagged? Glad you think so, Bart! No need to date tag the photos, although current/recent photos are best.